CANTON, Mass. 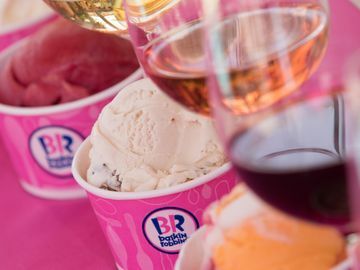 (June 13, 2016) – In celebration of Father’s Day on Sunday, June 19, and the brand’s festive The Cold One Cake, a unique ice cream cake shaped like a mug that honors dad in a frosty and flavorful way, Baskin-Robbins has partnered with All About Beer Magazine, America’s leading beer publication, to identify ten popular ice cream flavors to pair with a range of cold brews. 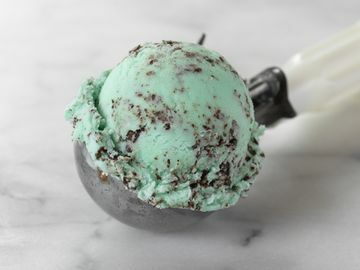 The ale already has some cocoa and java flavors and it mixes nicely with the roast of the chocolate chips and the herbal, cool mint flavor of the ice cream. Nutty and creamy, with an assertive chocolate base, the ice cream brings out the best in this malt-forward dark brown lager. Brewers are taking the sweet, tangy, earthy blueberry and adding it to caramel-tinged ales, making it a perfect complement to this frozen coffee, nutty, chocolatey concoction. Lively fruit flavors pair wonderfully with the chocolate flavored ribbon. Gose is brewed with wheat and salt and is predicted to be the beer of the summer, making it a perfect companion to the hot weather staple – watermelon. Pronounced “Gose-Uh,” look for variations that already include cucumber, prickly pear, or yes, even watermelon flavors. A candy lover’s dream! The stout has sweet chocolate, rich espresso and generic red berry flavors that party hard with the almond, marshmallow and deep chocolate of the ice cream. 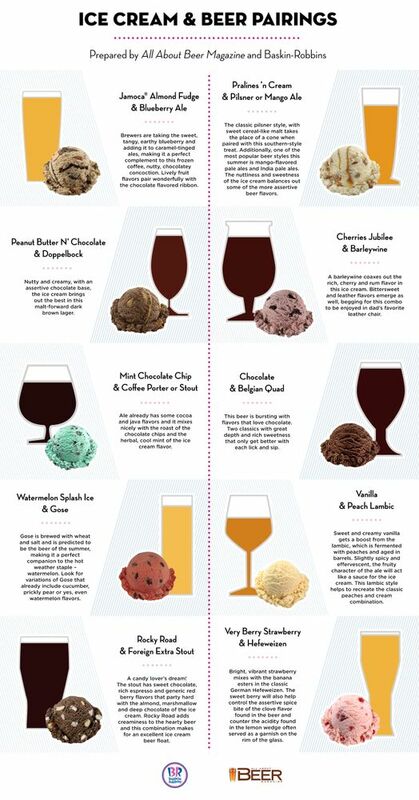 Rocky Road adds creaminess to the hearty beer and this combination makes for an excellent ice cream beer float. 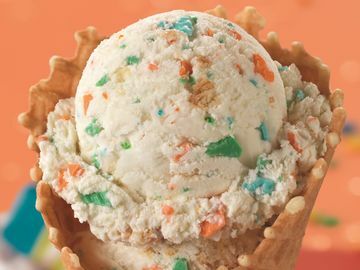 The classic pilsner style, with sweet cereal-like malt takes the place of a cone when paired with this southern-style treat. Additionally, one of the most popular beer styles this summer is mango-flavored pale ales and India pale ales. The nuttiness and sweetness of the ice cream balances out some of the more assertive beer flavors, creating a delectable combination. A barleywine coaxes out the rich cherry and rum flavor in this ice cream. 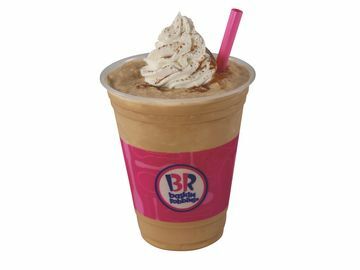 Bittersweet and leather flavors emerge as well, begging for this combo to be enjoyed in dad’s favorite leather chair. This beer is bursting with flavors that love chocolate. Two classics with great depth and rich sweetness that only get better with each lick and sip. Sweet and creamy vanilla gets a tart boost from the lambic, which is fermented on fresh cherries and aged in barrels. Slightly spicy and effervescent, the fruity character of the ale will act like a sauce for the ice cream. Also look for a peach lambic to recreate the classic peaches and cream combination. It’s the start of a fruit salad. Bright, vibrant strawberry mixes with the banana esters in the classic German Hefeweizen. The sweet berry will also help control the assertive spice bite of the clove flavor found in the beer and counter the acidity found in the lemon wedge often served as a garnish on the rim of the glass. 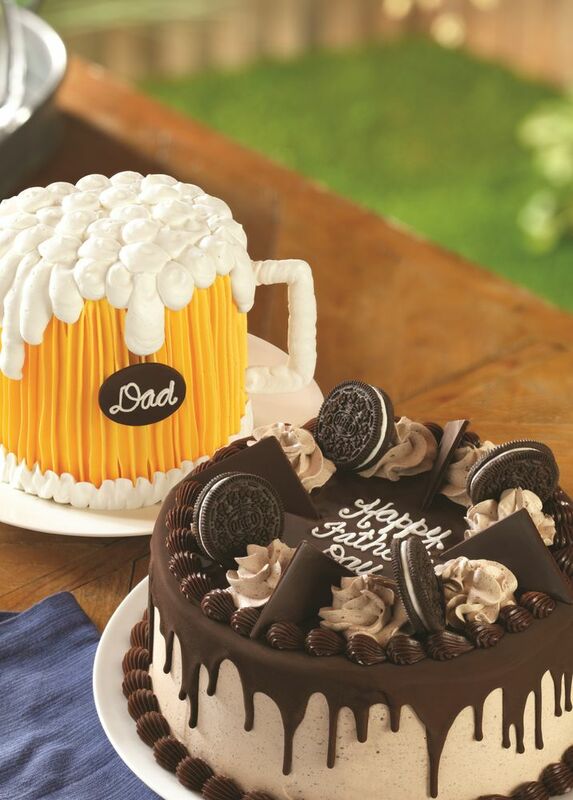 In addition to offering guests The Cold One Cake this Father’s Day, Baskin-Robbins is also offering the new OREO® Triple Chocolate Cake. This delectable cake features a chocolate, OREO® cookie-infused frosting topped with a mouthwatering waterfall of dark chocolate, a border of fudge and alternating goodness of OREO® cookies, frosting dollops and chocolate triangles. 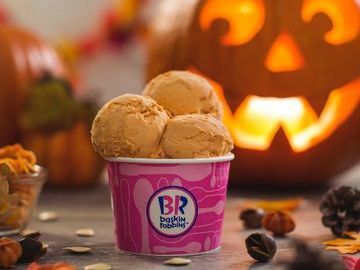 Both cakes can be customized to feature dad’s favorite ice cream and cake flavor combination and are available for pre-order in-store or through Baskin-Robbins’ online cake ordering website. With more choices than ever in the beer aisle and on tap, consumers need a trusted source for news, reviews and analysis. Since 1979, All About Beer Magazine has been the go-to resource for the beer drinker and consumer looking for in-depth coverage, expert reviews and insightful opinion. Published bimonthly and updated daily online, All About Beer is the best-selling and most award-winning beer magazine in America. Each issue is packed with more than 100 beer reviews, tips on homebrewing, an examination of the business behind the industry, and travel suggestions, plus trends and unrivaled historical perspective. The magazine also produces events, including the World Beer Festivals, in cities across the country bringing brewers and drinkers together. All About Beer manages an in-market tasting and marketing program for brewers looking to forge a deeper connection with the engaged beer consumer. Visit AllAboutBeer.com to subscribe and learn more. You can also follow All About Beer on Facebook at facebook.com/AllAboutBeerMag and on Twitter and Instagram @AllAboutBeer. John Holl is the award-winning editor of All About Beer Magazine, as well as an international beer judge. Based in New York, he has worked as a journalist since 1996 and is the author of several books, including Dishing Up New Jersey and The American Craft Beer Cookbook. For more information, visit www.JohnHoll.com or follow on Twitter @John_Holl.